How long do you plan to stay in? When someone asks my active duty military spouse this question, he usually responds with “As long as I’m still having fun!” However, as each year passes, we see more and more of our friends getting out of the service, settling down, and embracing civilian life. Trust me, there are days when the grass looks vibrant green on the other side of the fence! After reading a few military retirement posts, my spouse and I chatted over coffee about what the next few years could bring our military family. Closing in on 20 years of service, we’re aware of the important decision up ahead – to continue to serve or to leave the military. If my husband chooses to stay in, I’ve personally been wondering how to keep my heart from growing weary of this ever-changing military lifestyle? With this question on my mind, I decided to “phone a friend." Formerly active duty herself, Julia offers a dose of common sense and wisdom. Currently supporting her spouse on Year 32 of his military service, I'm sharing Julia’s tips for keeping a steady sense of enthusiasm when nearing (or passing!) a service commitment milestone. Here's part of our conversation. My husband and I are looking at our options as he nears his 20th year in the military. Where were you stationed when you landed on your 20-year milestone? Julia: "My husband’s 20-year point came in 2005. We were getting ready to head to Hawaii from Air War College. It was incredibly exciting to get such an exotic assignment after our year at school. I believe what motivated us to continue with military service was the flurry of potential for the years ahead. We wanted to see where this wild ride would take us! When a remote assignment came up nearing the end of our Hawaii time, we did have a few separation thoughts. Who wouldn’t? The decision for my husband to go on the remote was a choice we made as a family. Together. Upon returning to the mainland, my children and I received the gift of reconnecting with relatives back home." How did it make you feel, hitting 20 years in and having military friends getting out of the service? Betrayal- Over a colleague leaving the service of their country. Anger- Irritability if the spouse of a military cohort was the cause of the decision to leave. Also, easily upset due to cutbacks forcing a perfectly qualified friend to get out. Grief- Melancholy over a good person leaving this wonderful military family. It made me sad to think I might not see that pal again. Envy- I have to admit, a little bit of jealousy crept in when a crony didn’t have to face those “unsettled” feelings again. They would no longer have the hassles of packing and unpacking with each PCS. Happiness- Thrilled for a buddy if they felt leaving the service was the best fit for their future." 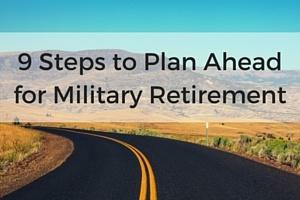 Have you ever wished you hadn’t continued on with military life? Getting a text each day for two weeks from my 16-year-old who had no one to eat lunch with at his new school. Moments like that made me want to cry. Or, when we ended up moving 18 hours away from our older son in college. It was tough on our whole family when he wasn’t able to pop in and surprise us on a weekend. Even just feeling alone. Going by myself to watch our youngest at a cross-country meet. My husband couldn’t get off work and I hadn’t met any of the other parents yet. Those lonely feelings at a new assignment are truly uncomfortable. I understand how someone could have concerns with staying in. We have them, too, with aging parents, children who face challenges with moving, kids hitting their senior years of high school, and dual careers requiring involuntary separation. But it’s worth it. We’ve always tried to look at this unique life in a positive light. One of the many benefits of a military community are the wonderful ready-made family networks around each corner!" Do you have an experience that reminds you of why staying in has been a good call? Julia: "One thing that stands out about staying in the service is the friends we’ve made since the 20-year point. As our compatriot circle grows smaller, the bond draws tighter with the military members who continue to serve. These long-term folks are the friends we consider family. We honestly can’t imagine living our lives without them. If we hadn’t stayed in past 20, we would have missed out on wonderful assignments with incredible people. For example, if we hadn’t taken our current assignment, we wouldn’t have had the 'fun' experience of our youngest child having a pet-sitting gig for a 4-star general. We had no idea the beloved dog in our care was an escape artist, until it suddenly disappeared! It was hard not to laugh, watching frantically (while seeing my husband’s career flashing before my eyes) as my son ran after the speedy, sly pup! Chasing through the backyard of every general officer on the base, the dog finally slowed down, allowing my son to safely catch it. It’s all about those unexpected moments! To be serious, what made us stay in and serve was the fact that this marvelous ride called military life was one we’ve shared together. I take pride in my own active duty service, as well as the service of my husband and boys. The military has shaped us all. I find happiness that our youngest son is now attending a great university. He will join the military after college to continue to serve, as he has done his whole life. I feel joy that our oldest son has a fabulous job that allows him to serve the military in a different capacity than my husband and youngest. If we hadn’t stayed in, his fantastic career opportunity would not have occurred. Our life has been much more rewarding over the last 12 years, than over the first 12 or 20. We are so glad we stayed in. Together." What advice do you have for someone just beginning his/her military career? Or, what words of wisdom do you have for someone at the halfway point of a service commitment (10 years in)? Julia: "For those who are just beginning their careers, and for those at that magical 10-year point, I’ll be candid. There will be assignments you love. There will be assignments you hate. There will be locations you’ll never want to leave. There will be locations where you are ready to bid farewell as soon as the moving truck shuts its door and pulls away. There are friends you’ll make who will enrich your life. Friends that you wouldn’t have met if you hadn’t stayed in. Friends you couldn't have met if you hadn’t taken a certain assignment. As time passes, the jobs will get tougher. The responsibilities will be more challenging. The moves will happen more frequently. No matter what you do or where you live, you’ll rely on your loved ones to make you feel at ease and to help you feel at home. As it says on the little wood heart that has been hanging in our hall since Year One, 'Home is where the Air Force sends us.' Together. Every step of the way!" If you're looking for direction as you near a service commitment milestone, take a little time to browse the virtual library of helpful information on MilitaryByOwner. As for my spouse and me, we aren't quite sure what our next step will be. Chatting things over with an experienced spouse feels reassuring. I’ve found additional encouragement by reading through MilitaryByOwner’s free ebooks. Written by fellow military spouses, each ebook gives a nuturing sense of support. Picking up positive advice along every mile guides our military family on our continuing trek towards reaching 20! Has your military family stayed in past the 20-year mark? What advice would you share? Drop a note in the comments below!